The Aquarian TeacherTM program is the KRI Level One Certification program in Kundalini Yoga as taught by Yogi Bhajan®. 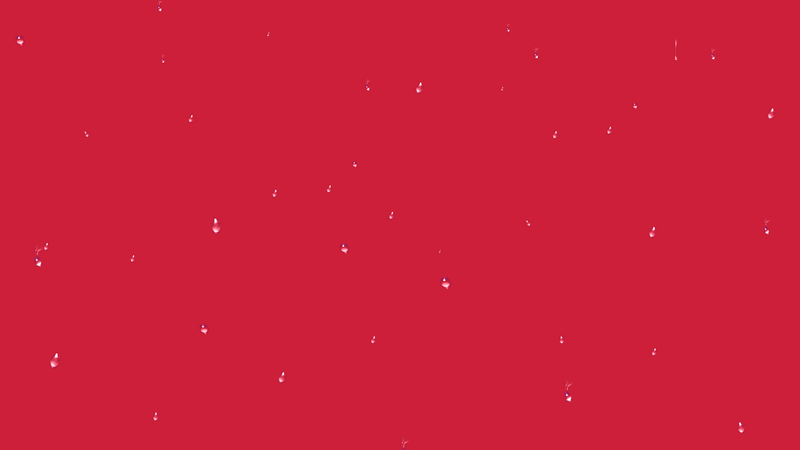 In Level One you will become an Instructor and learn the fundamental principles and practices of Kundalini Yoga. This is a 220-hour course, which includes 180 hours of classroom instruction in a well-defined curriculum. Yogi Bhajan, Master of Kundalini Yoga, arrived in the United States in 1969 with a stated purpose: “I have come to create Teachers, not to gather disciples.” For over 30 years, he traveled internationally teaching Kundalini Yoga, the Yoga of Awareness. 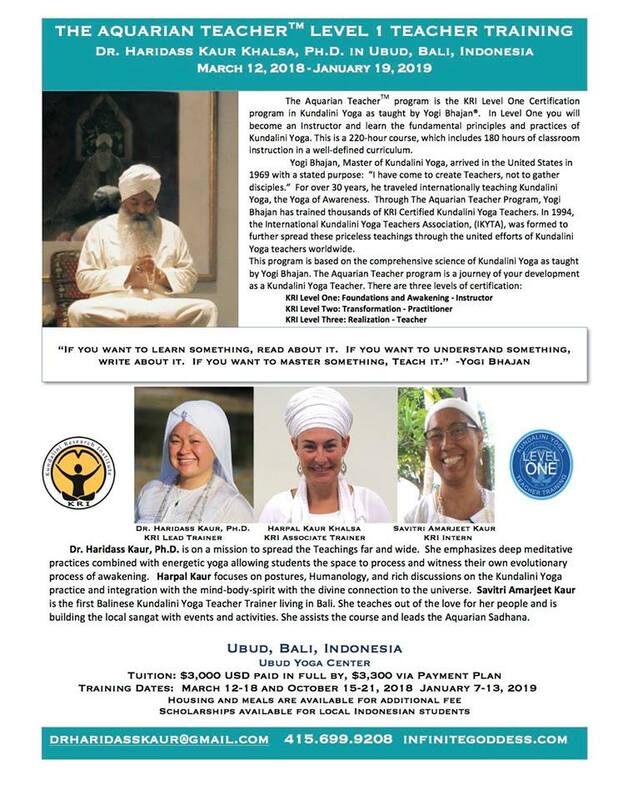 Through The Aquarian Teacher Program, Yogi Bhajan has trained thousands of KRI Certified Kundalini Yoga Teachers. In 1994, the International Kundalini Yoga Teachers Association, (IKYTA), was formed to further spread these priceless teachings through the united efforts of Kundalini Yoga teachers worldwide. Dr. Haridass Kaur, Ph.D. is on a mission to spread the Teachings far and wide. She emphasizes deep meditative practices combined with energetic yoga allowing students the space to process and witness their own evolutionary process of awakening. Harpal Kaur focuses on postures, Humanology, and rich discussions on the Kundalini Yoga practice and integration with the mind-body-spirit with the divine connection to the universe. Savitri Amarjeet Kaur is the first Balinese Kundalini Yoga Teacher Trainer living in Bali. She teaches out of the love for her people and is building the local sangat with events and activities. She assists the course and leads the Aquarian Sadhana.